First up, Ellen at Bake It With Booze cooked up these enticing Kahlua Lava Cakes. I've not had something like this for a while, but I imagine Kahlua would give it a good kick. I love how she went to the effort of picking out all the blue hearts from her pack of sprinkles! 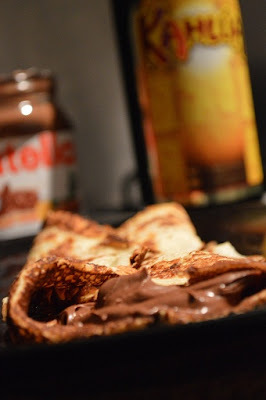 Next, Craig at The Usual Saucepans made these Nutella and Kahlua Crêpes for Pancake Day. I love everything about that title so I bet these were a big hit. Pancake Day far overshadowed Valentine's Day in my opinion! 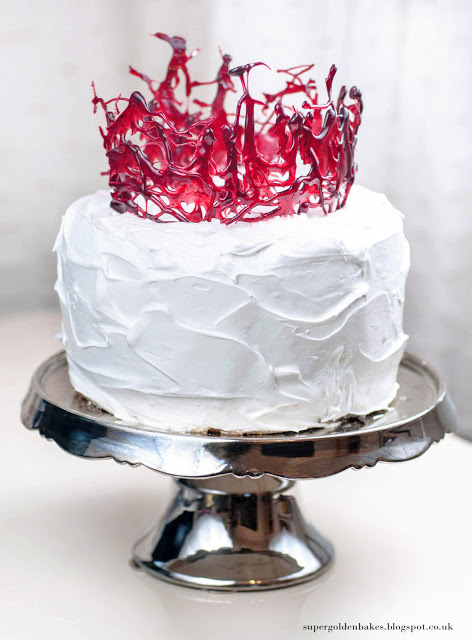 Lucy at Supergolden Bakes made this stunning Crown Of Love Cake for Valentine's Day. She used Tia Maria to make the coffee syrup in it. I am all the more impressed by this creation as she made it with children in tow and school lunches to make! And finally, I got round to making ginger cake after many years of having the intention to try it with this Ginger Cake With Coffee Chocolate Ganache. It was worth the wait! 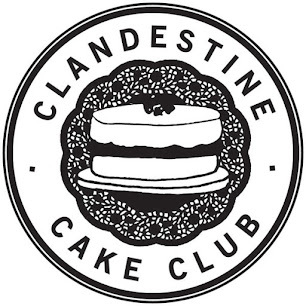 The ganache was made with coffee liqueur, of course. Thanks again to all those who entered this month, and if you're feeling inspired don't forget to check out this month's challenge. Don't worry, I know how time consuming moving house can be! You seem pretty happy in your new place though, so hopefully it was worth it. Looking forward to seeing what you come up with! Wow, thanks again for sharing my recipe, Janine! I especially love the Crown of Love Cake...Very impressive. I definitely have your ginger cake on my recipe bucket list. :) See you for the next challenge! Cheers! !